I like to add beans to many dishes, both for their delicious flavor and for the protein they supply. Black, white, cranberry, flageolet, fava all go wonderfully with pastas, grains and greens. Lately, black beans and white beans have been my favorite additions, perhaps because I had such a good crop of each this year and also because now that I’ve finally finished shelling them all, the pantry holds jars full of beans. The black turtle beans I’ve grown for years are tiny, coal-colored beans full of sweet, earthy flavor. Soaked for about eight hours, either overnight or during the day, they cook in about twenty minutes and hold their shape perfectly. Last year I started adding them to cooked emmer farro. The contrasting textures, soft beans and chewy farro, are perfect together and the black and tan tones are pretty on the plate. With a side of chard sautéed with oil and garlic and topped with some yellow raisins and toasted hazelnuts, they make a satisfying meal. Black beans and broccoli are another tasty combination I discovered recently. Overwintered broccoli plants had started producing lots of small shoots of sweet florets so I lightly brushed some with olive oil, sprinkled on a little salt and roasted them on a sheet pan. Delicious on their own, they were even better mixed with some leftover black beans warmed in olive oil and garlic. 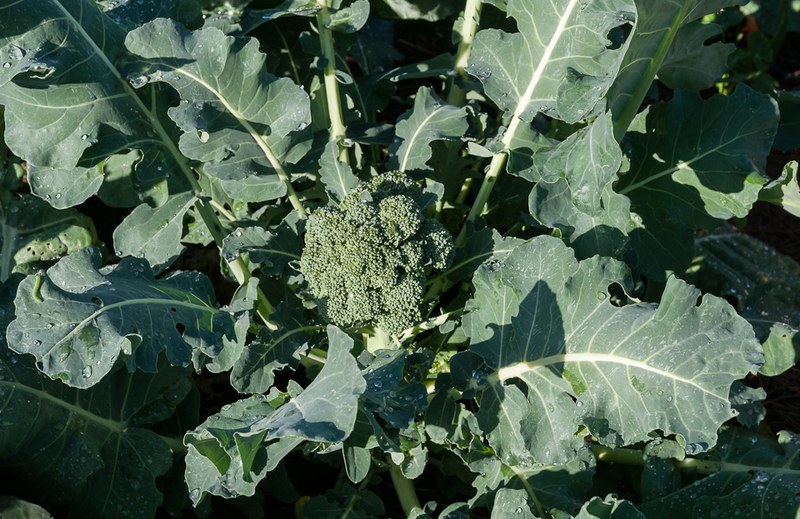 I’ll definitely make this combination again with broccoli and soon with flower buds from kale and other brassicas. White beans combine well with grains too. In his always-inspiring cookbook Plenty More, Yotam Ottolenghi offers a recipe for parsley, lemon and cannellini bean salad with red quinoa. It sounds like a summer salad but it’s wonderful in winter too. I first made a half batch in January for lunch and we finished it all in one sitting. I used my standard white bean, Drabo, a cannellini type. Its sweet, nutty flavor was perfect with the grassy-flavored quinoa, and the crunch of quinoa contrasted nicely with the soft beans. Parsley, mint, chives and a touch of allspice added herbal flavors to the lemon and olive oil coating the beans and quinoa. And finally, the red quinoa is beautiful against the white beans. I made this salad again yesterday using Tarbais beans, another delicious white bean I grew from seeds my bean-loving friend Carol gave me. Bring a saucepan of water to a boil. Add quinoa and simmer for 11 minutes. Drain, refresh under cold water, and set aside to dry completely. Transfer the cooled quinoa to a large bowl. Add parsley, mint, green onions, beans, lemon, allspice, oil, 3/4 teaspoon of salt and some black pepper. Stir everything together and serve. Last month my friend Peggy gave me a pound package of Marcella beans, Italian Sorana beans, grown by Steve Sando at Rancho Gordo and named for the late Italian cookbook author, Marcella Hazan. The January 5, 2016 New York Times reported the lovely story behind these beans and their namesake, and Peggy, knowing my fondness for beans, ordered some for me. Quoting Hazan’s husband Victor, the Times article reveals that “To Marcella, one of the ultimate pleasures in life was warm beans with good olive oil.” I agree. I cooked up some of these creamy, sweet beans and they are delicious this way. I cooked more a few nights later and I tossed them with some sautéed garlic, minced sage and oil-cured black olives, squeezed on a little lemon and paired them with couscous. The light couscous was a great match for the delicate flavor and texture of the beans while the garlic, sage, olives and lemon added lovely background layers of flavors to the beans and couscous. In two months, around mid-May, I’ll plant beans for the year ahead. They are easy to grow, germinating quickly if the days are warm and dry, more slowly if its cool and damp, filling out into large, leafy plants that suppress weeds and need no attention except watering until mid-to-late September when the pods, swollen with beans, will be ready to harvest and shell. Between now and then, we’ll continue to add this year’s crop of beans to lunches and dinners. And we’ll hope we don’t run out before fall. I’ve been visiting family and friends in New York and New England for the past three weeks and in my absence the kitchen garden has settled into its fall state. 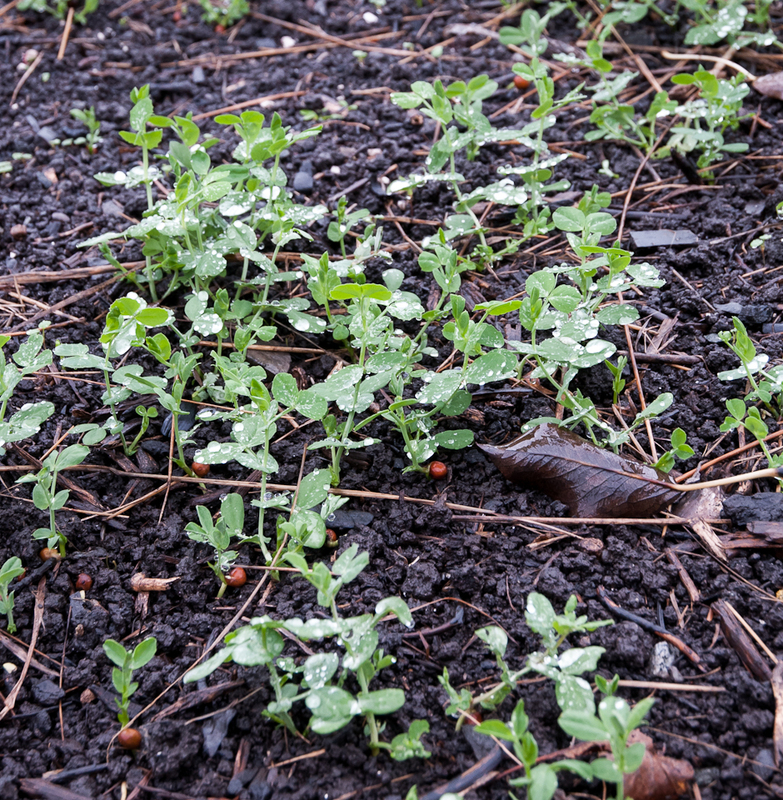 The cover crop of Austrian field peas that I planted before I left in all the beds that held summer vegetables has germinated, blanketing the dark soil with small green leaves. 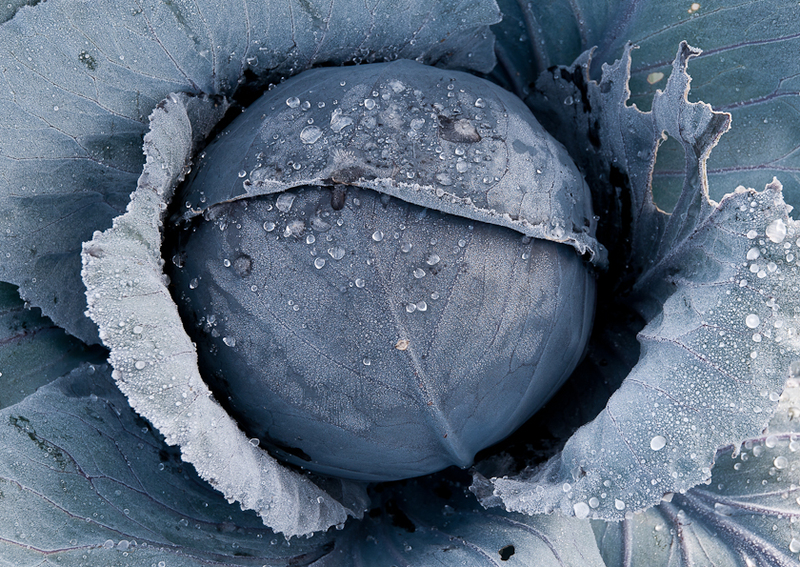 The winter crops of roots, leeks, hardy greens and brassicas, all lush from October rains, fill other beds with their foliage and promise many tasty meals as the days shorten and temperatures drop. The rounded bulbs of celery root, rutabagas, turnips and beets are just visible under their still vigorous stems while the parsnips and carrots, marked by their feathery tops, wait beneath the soil line. 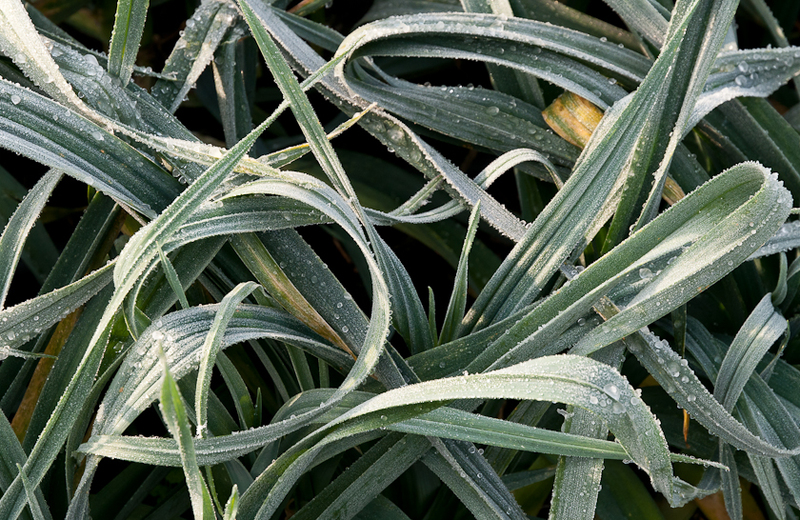 Blue-green spears rise and bend above white shafts of leeks. I’ll add a final layer of mulch to these roots and leeks when the first serious cold spell is forecast and they’ll last us through the winter. 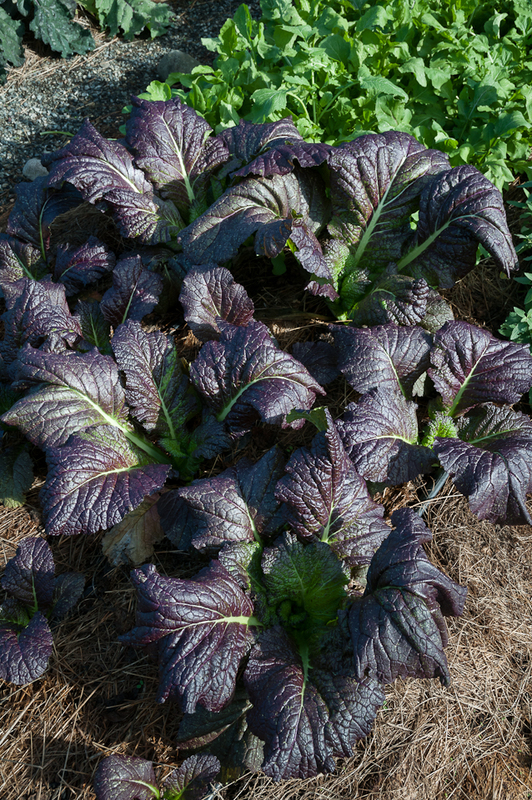 Escarole, chard, mustard, mache and several plantings of arugula are ready for harvest and use as fall and winter sautés or salads. 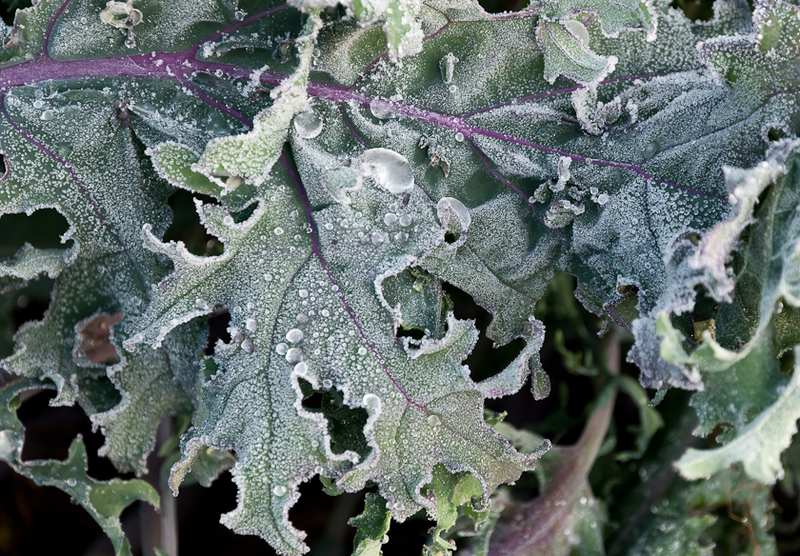 I’ll soon put hoop houses, ends open, over these cold-hardy greens to shelter them from too much rain. 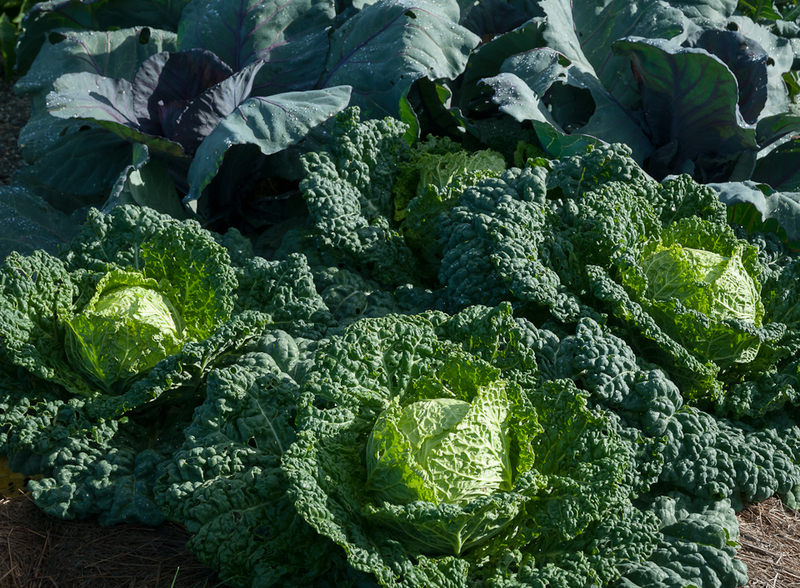 And the broccoli, cauliflower and cabbage I’d started in flats in mid-July and set out in mid-August have formed heads, tight jade-green broccoli flowers, creamy white cauliflower curds, ruby-colored red and crinkly light-green Savoy cabbages. 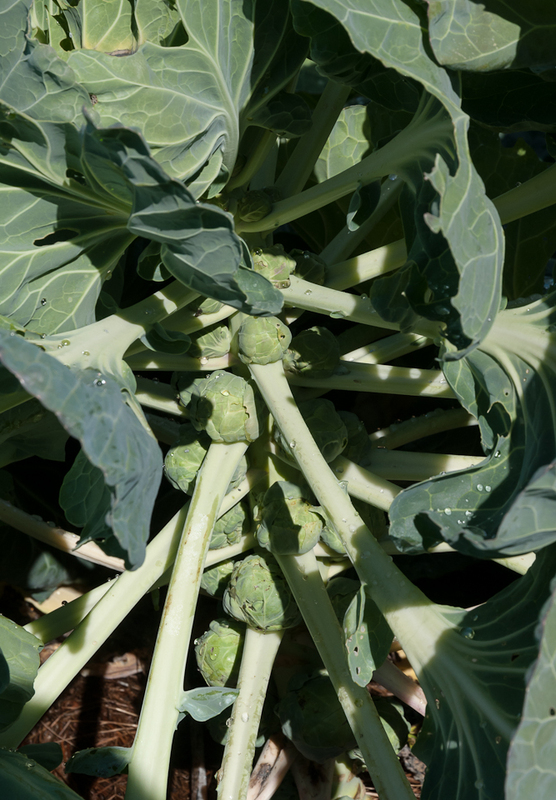 I planted only three or four of each and plan to harvest and cook them before the real cold comes and I turn to their hardier cousins Brussels sprouts and kale for the rest of the winter. Against these many shapes and shades of green the gloriosa daisies (Rudbeckia gloriosa) are still blooming, their yellow, rust and burgundy shades adding rich tones of fall color to the kitchen garden. 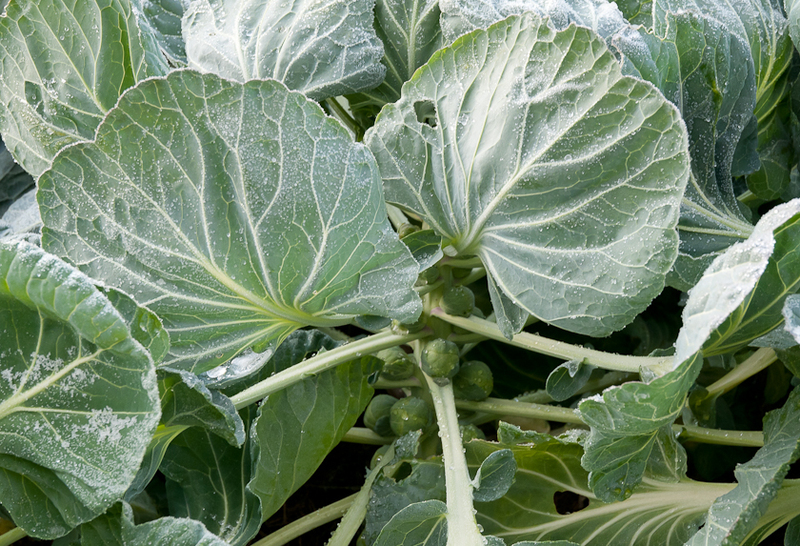 It won’t be long before a hard frost blackens these blooms but the same frost will bring out the deep sweetness of these fall and winter vegetables, a fair trade I think. As my friend Suzanne emailed a few years ago, “The obvious reason to grow a vegetable garden is to have fresh and delicious organic produce, especially the types that are either highly perishable or mysteriously expensive.” She put leeks at the top of the list of mysteriously expensive vegetables. can be transplanted, six or seven weeks in my garden. Then there’s transplanting them and keeping the soil hilled up around the growing shaft to encourage as much tender, white leek as possible. 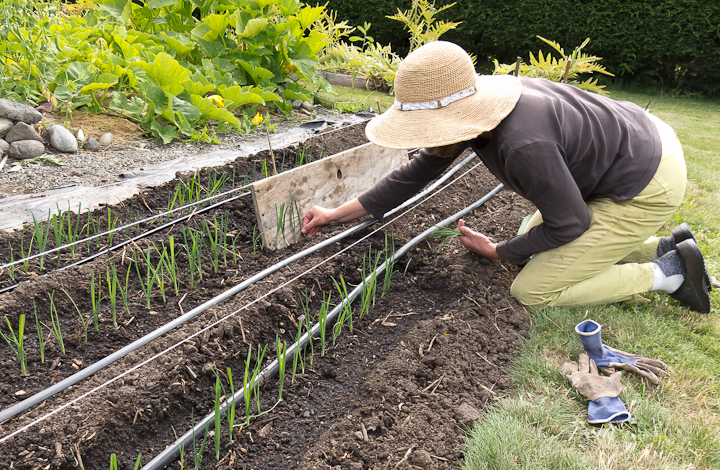 Having someone else do this work for you helps explain the cost, but if you like lots of leeks and want to spend your time instead of your money, you can grow them yourself. I wasn’t particularly successful at growing leeks until I adopted Steve Solomon’s method outlined in his Growing Vegetables West of the Cascades. If you don’t have his book, now in its 6th edition, and you want to grow leeks, buy it. It will pay for itself in leeks the first year. Following his instructions for winter leeks, in late May I work compost into a four-by-four foot area in the garden until the soil is light and mark out five rows. Then I plant the seeds a half-inch apart in shallow furrows, cover them with half an inch of soil and spread Reemay over the bed. Varieties I’ve grown the past few years are King Sieg and Bleu de Solaize, both from Fedco Seeds and both very winter hardy. This year I’ve also planted Carantan from Pinetree Seeds, an heirloom reputed to be winter hardy as well. 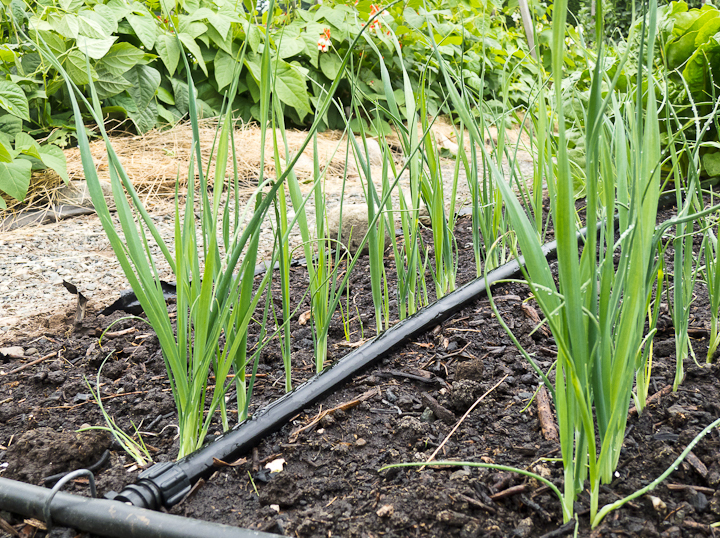 I water the bed often to keep the soil moist and in a week or two the thin green threads of leeks are folding out of the ground. I keep them covered with Reemay until the shoots have several strong leaves. By mid-July, they are nearly the size of pencils and ready to transplant. Transplanting is where Solomon’s instructions are most valuable, and the process is enough fun that I look forward to it each year. I’ve modified his instructions to include a board that supports the leeks as I set them out and helps prevent dirt from falling into the leaf joints. Also, rather than running a series of rows perpendicular to the long side of a bed as he describes, I plant three rows parallel to long side of the bed because this pattern matches my irrigation tape. The first step is clipping off the top half of the seedlings. Solomon explains that altering the ratio of leaf area to root reduces the disturbed root system’s demand for water and allows the plants to resume growing more quickly. After clipping the tops, I gently dig a couple dozen plants, placing them in a small bucket and keeping the roots covered with dirt or water. 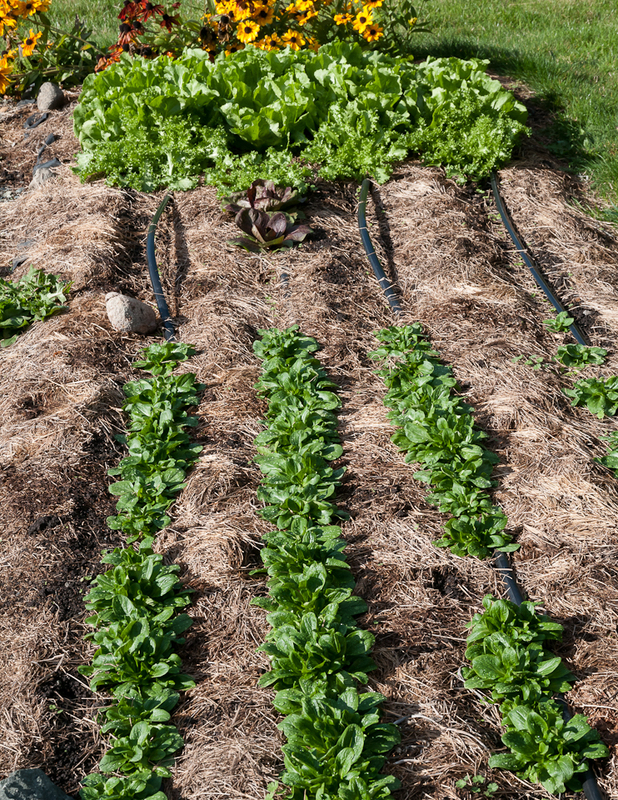 As the photo shows, I dig an eight-inch deep trench, prop the board against some bamboo stakes at a slight angle in the trench, and lay the leek seedlings along the board, spacing them at two-inch intervals marked on the board and stretching the roots out along the surface of the soil. I cover the roots with about an inch of soil and press down gently. Then I pull the board toward me, brush another inch of soil behind it and firm the soil down. Then—this is the magic part—I pull up the board and the leeks are upright and clean. I firm the soil around any that look wobbly and water them thoroughly. The four-foot board lets me transplant twenty-four leeks at a time so I try to dig only as many transplants as I need for each board section. Every week, I fill in the trench around the growing leeks, being careful not to knock dirt into the joints between the leaves. In six weeks or so, the trenches are full and I begin hilling up the soil around the shafts up to the first leaf joint to blanch them white. By early October, the leeks will be ready to harvest and, even better, they will hold throughout the winter. As I transplant leeks and care for them over the summer months, I imagine favorite winter meals: Pan-Roasted Pork Loin with Leeks from Marcella’s Italian Kitchen (1986), one of those simple but exquisite flavor combinations Italian cooks like Marcella Hazan do so well. And Leek Tart from Alice Water’s Chez Panisse Vegetables (1996): just leeks in pastry, no cream, no cheese, just a little thyme. These and other leek-filled dishes are what keep me growing leeks each year. Last week, I planted winter vegetables: rutabaga, turnips, carrots, beets, kale and chard. Most of them have germinated already, their tiny leaves a contrast to the dark soil. 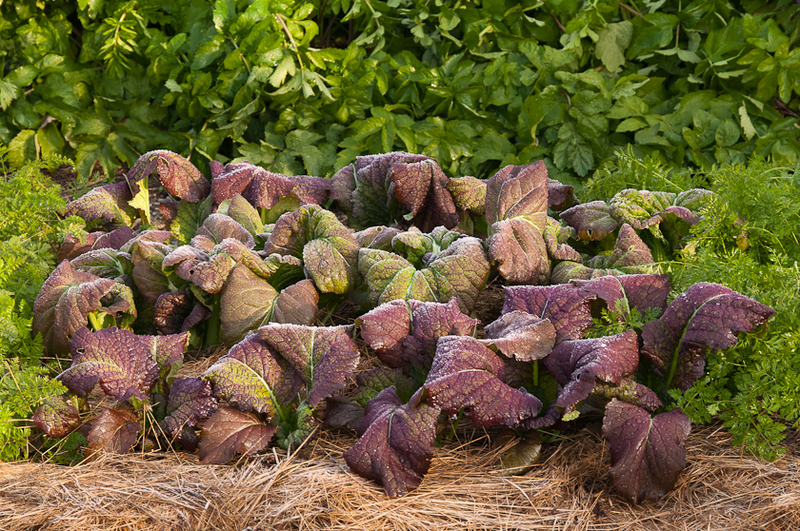 If you have garden space and interest, you still have time to plant some winter vegetables. Here’s a column I wrote last July with more ideas. It’s here on the blog under Green Living Columns, Vegetables: https://lopezislandkitchengardens.wordpress.com/plant-your-winter-roots/ Think about it! 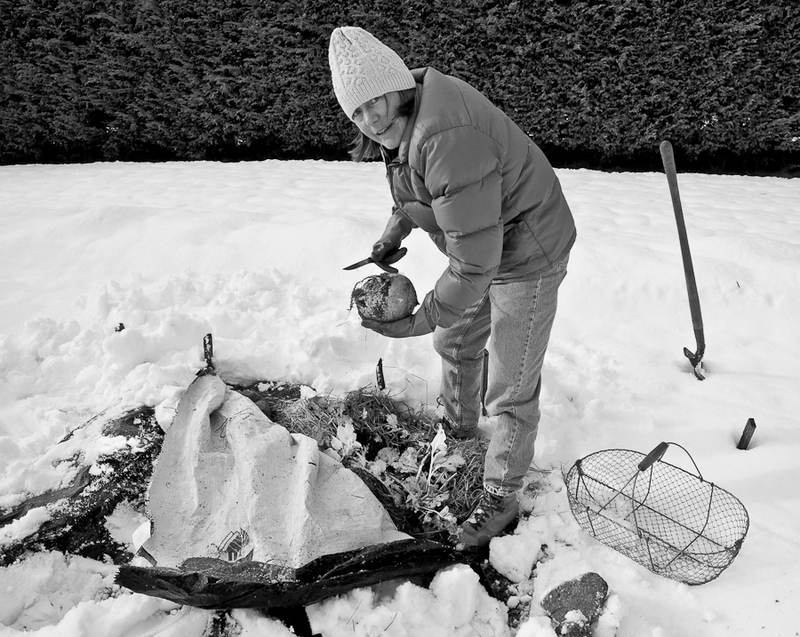 If you plant some rutabaga now, you’ll be able to harvest it this winter, even in the snow.